The jovial and vibrant Juliette Ho is on a mission. 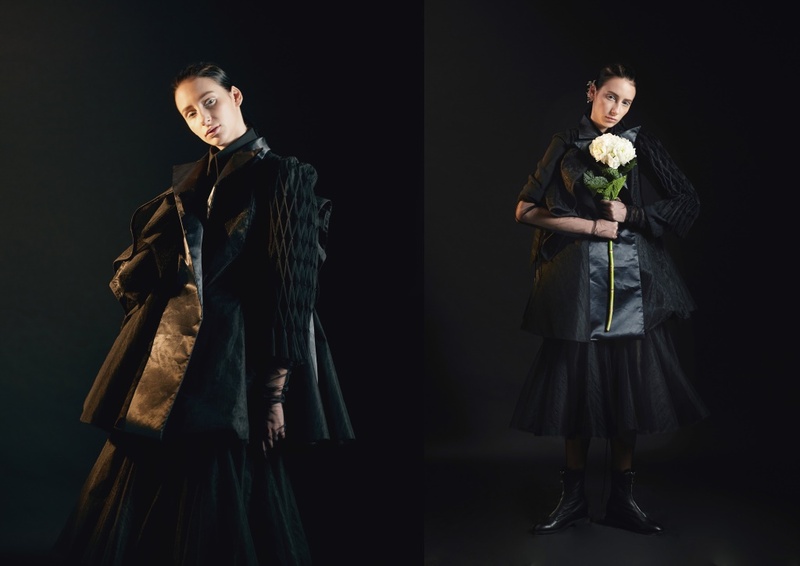 The recent graduate from the Hong Kong Design Institute’s Department of Fashion and Image Design goes against the popular trend of designing easy-to-wear, uncomplicated, mass produced, and at times, fast and low-cost fashion, and instead aspires to be a designer of haute couture and handcrafted apparel. 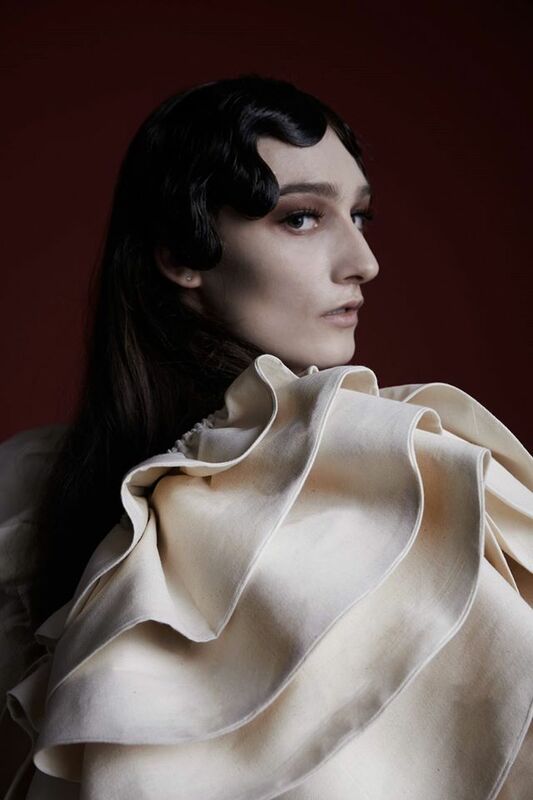 As she unabashedly prefers time-consuming techniques and detail-oriented approaches, Juliette’s design refers to historical dressmaking details and the spirit of the arts and crafts movement in the Victorian Era to give her eveningwear a timeless feel. 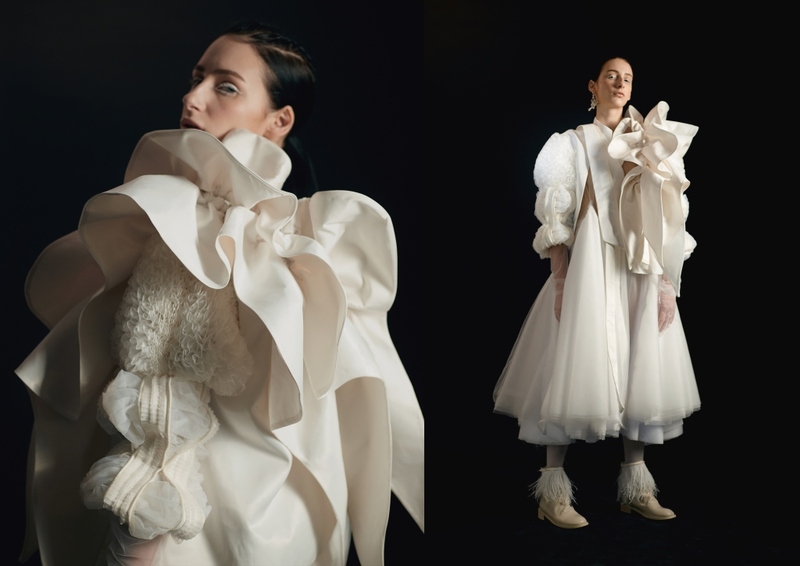 Although her RE-COUTURE line is decidedly modern, it recalls the extravagant petticoats and decorative sleeves worn in history. 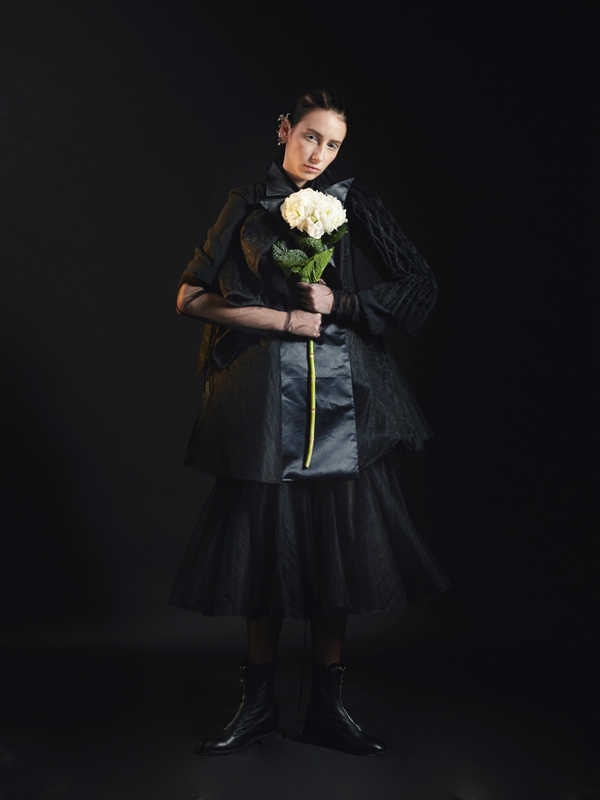 “I want women wearing my delicate gown to feel empowered,” explains the young designer. 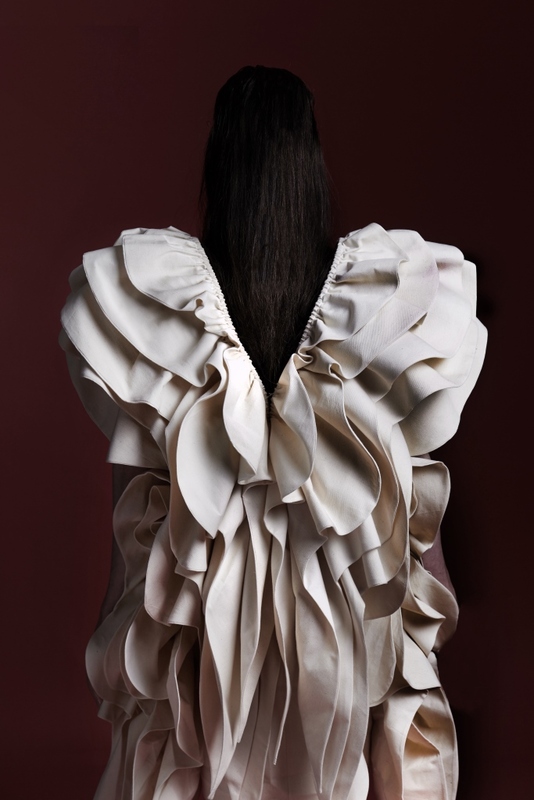 In another team project called “L.A.V.A,” Juliette turned a shirt collar into a major design feature, as she experimented with a garment’s shapes and forms. 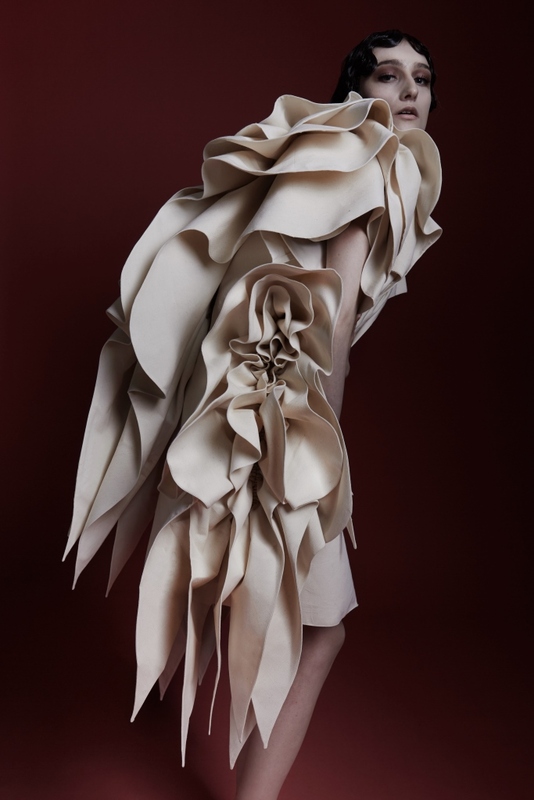 As she loves trying out new techniques and applications, she is glad to have mastered basic tailoring and sewing skills. Seeing handicraft as an important cultural heritage, she volunteered to teach sewing at the high school that she attended. “I feel privileged to have learned the craft from many masters, and sewing has helped my career, so I want to pass it on,” says Juliette. To broaden her international exposure, Juliette wishes to pursue a Master’s degree in either New York City or Munich. 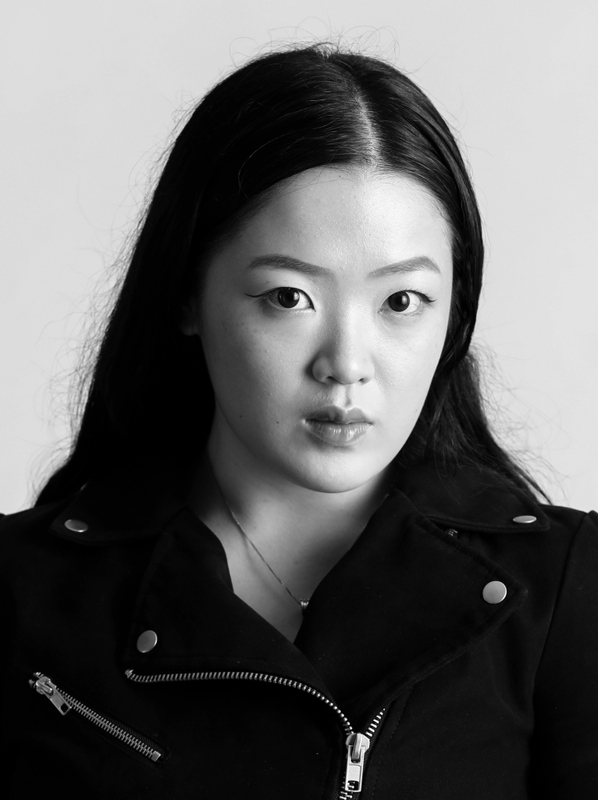 Besides design, she is also interested in the business and management side of the fashion world. 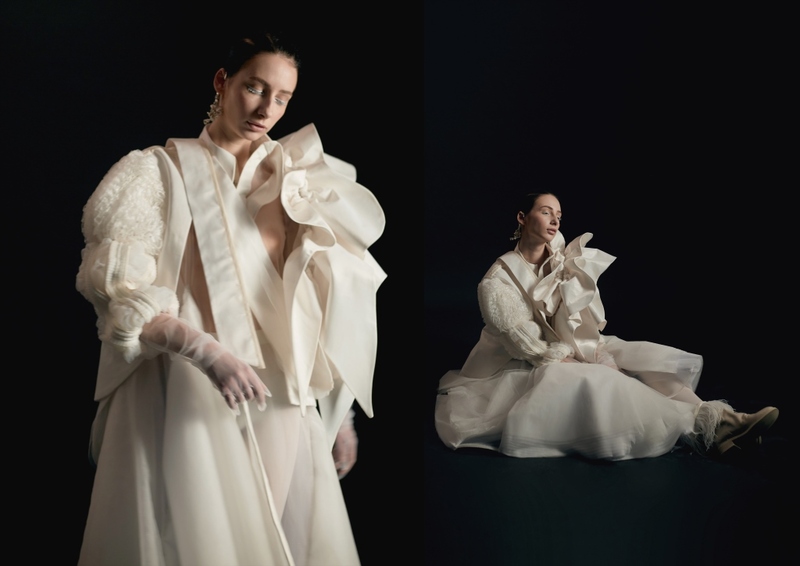 Over the long term, she wants to teach students how to design and make haute couture and traditional national dress, such as cheongsams, as heritage is meant to be passed on from one generation to the next.